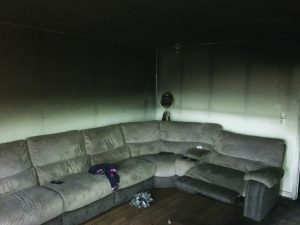 Dave Taylor, his wife Jo and their three young children woke up to the fire in the middle of the night in December 2018. Smoke was billowing from the utility room. “I called 999 immediately and everyone rushed out of the house,” said Dave, 38, who pastors Elim Family Church in Southwater, Sussex. The fire had started with a faulty tumble dryer. 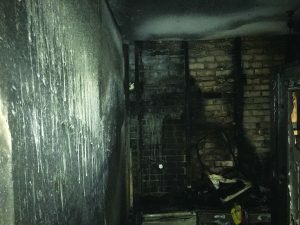 The family were left with just the clothes on their backs after the blaze ruined the downstairs of the house and filled the upstairs with smoke and soot. Their Christmas presents for the Evelina Children’s Hospital in London, which the Taylors support in memory of their son Joseph who died of pneumonia aged 6 months, were also ruined. An unnamed donor arranged for the family to stay at a five-star hotel. Happily a local estate agent was able to find them a property to rent in the village. Churchgoers in the vicinity also came to the rescue. Dave said: “The local churches have been very helpful in donating money and supporting us with prayer.